It is reported that MGM and Warner Bros. have hired Amy Jump to write the sequel to last year’s reboot. Alicia Vikander is pleased with what she has been showed so far and could make a return as the protagonist. 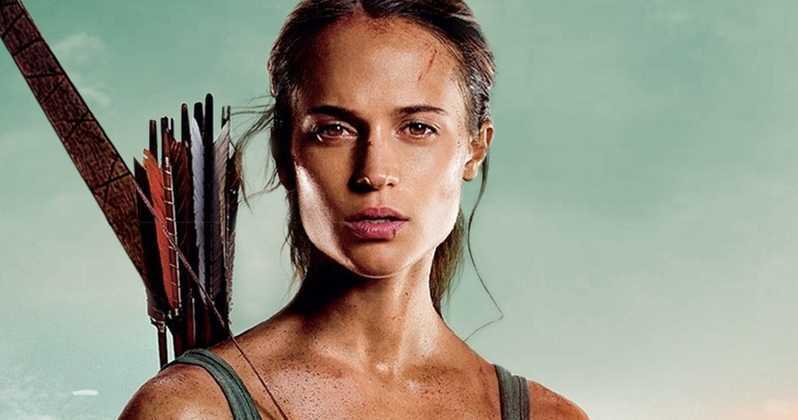 While the reboot was based on the new TOMB RAIDER games, the plot for the sequel (and almost everything else) is under wrap but some say that it will likely draw inspiration from the same source(s). The gaming series has just completed a trilogy in September last year and it became an instant classic with both gamers and critics. The very first game was released 1996 whith the PSOne- version being the most popular. The movie earned over $274.7 million globally. The STAR WARS- star Daisy Ridley was believed to play the role but it eventually went to the Swedish actress instead. For those of you who are too young or don’t know much about the franchise, the original films had Angelina Jolie as the lead. This entry was posted in Movies and TV and tagged alicia vikander, blockbuster, film, filmer, movies, tomb raider, tomb raider 2. Bookmark the permalink.